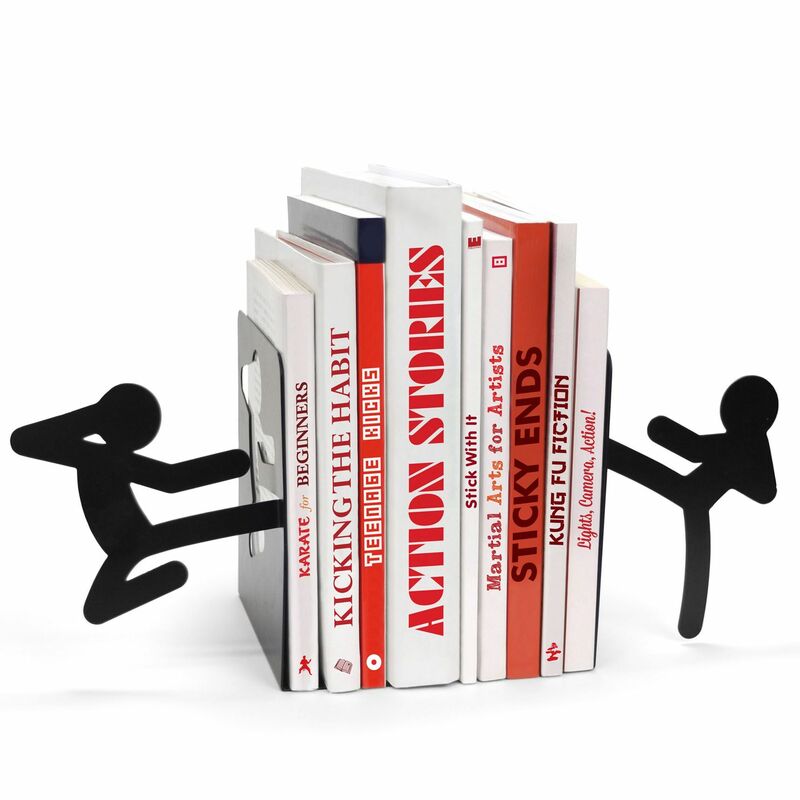 Bring some action to your book collection with the Mustard stickmen bookends. The classic stickmen will hold books or DVDs in place with their martial arts poses, and are an excellent addition for all aspiring ninjas or action film and comic book lovers. 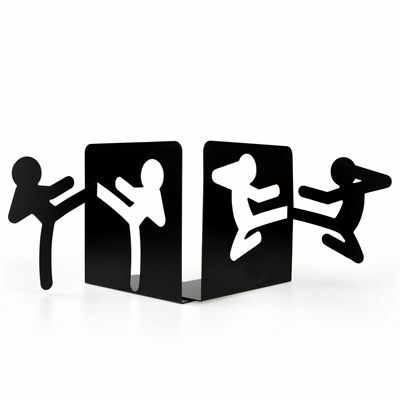 The steel, cutout stickmen have sturdy brackets to support your collection firmly and in style. for submitting product review about Mustard Stickmen Bookends.